Winterkorn, pictured, had a management style that fostered a climate of fear, former VW executives said. BERLIN/LONDON (Reuters) -- Like many chief executives, Martin Winterkorn was a demanding boss who didn't like failure. But critics say the pressure on managers at Volkswagen was unusual, which may go some way to explaining the automaker's crisis. Three weeks after it admitted to cheating U.S. emissions tests, VW is under pressure to identify who exactly was responsible. VW has declined to comment on whether the firm's culture or the management style of Winterkorn, who resigned last month, had been a factor in the cheating. But now that VW's problems are coming out into the open and Winterkorn has gone, some executives are declaring that the company needs to change its approach. "We have to streamline our processes," VW Group of America CEO Michael Horn told a U.S. congressional hearing when asked about what the revelations said about VW's integrity. "This company has to bloody learn and use this opportunity in order to get their act together, and 600,000 people worldwide have to be managed in a different way," he said. "This is very, very clear." Bernd Osterloh, a member of VW's supervisory board, was even more precise in a letter to staff on Sept. 24, a week after U.S. regulators revealed the cheating. "We need in future a climate in which problems aren't hidden but can be openly communicated to superiors," said Osterloh, who as chief of the VW works council represents employees on the board. "We need a culture in which it's possible and permissible to argue with your superior about the best way to go." Five former VW executives interviewed by Reuters and industry observers describe a management style under Winterkorn that fostered a climate of fear, an authoritarianism that went unchecked partly due to a company structure unique in the German auto industry. "The culture and organizational structure of Volkswagen are not comparable to Daimler or BMW, it is something specific," said Professor Ferdinand Dudenhoeffer, automotive expert at the University of Duisburg-Essen. "All you hear when you speak to people is that there is a special pressure at VW." All German companies have two boards: the management board, led by the CEO, runs the business day-to-day, and above it the supervisory board, to which the CEO reports. The supervisory board can hire and fire management board members and must sign off on major strategic decisions. Dudenhoeffer said this system did not work well at Volkswagen. "In Daimler and BMW, you have a supervisory board that is controlling the CEO. But at VW you have no such authority," he told Reuters. VW's 20-seat supervisory board gives nine seats apiece to workforce and shareholder representatives, so meeting a legal requirement to have equal representation. But VW differs from other German carmakers in one respect -- the company's home state of Lower Saxony also gets two seats on the supervisory board. By contrast, Daimler, the maker of Mercedes-Benz cars, and BMW have no politicians on their boards. Industry observers say the representatives from Lower Saxony and those of the workforce share a common goal: protecting jobs at one of Lower Saxony's biggest employers. As a consequence they are willing to give the CEO a relatively free hand provided he delivers on jobs. Henning Gebhardt of Deutsche Bank's asset and wealth management unit, who manages VW shares, said corporate governance had not progressed at the company. Winterkorn has supporters. Marc Trahan, a retired executive vice president at VW Group of America, said he believed Winterkorn and some of his top engineers would never have countenanced the cheating. "I know Dr Winterkorn personally. I know these guys personally. There is no way they would have allowed this to continue if they had known that U.S. laws were being broken," Trahan said. Winterkorn was born in 1947 into a humble background: his parents were ethnic German refugees who had recently fled Hungary after World War II. After studying metallurgy, he rose through the ranks at Robert Bosch before he joined Audi in 1981, later moving to the VW brand and then the group. At that time VW was managed by Ferdinand Piech, the grandson of the man who invented the Beetle. Legendary as a hard taskmaster, Piech dominated the firm for more than two decades as CEO and then chairman until April this year, when an attempt to oust Winterkorn backfired and he was forced to quit himself. 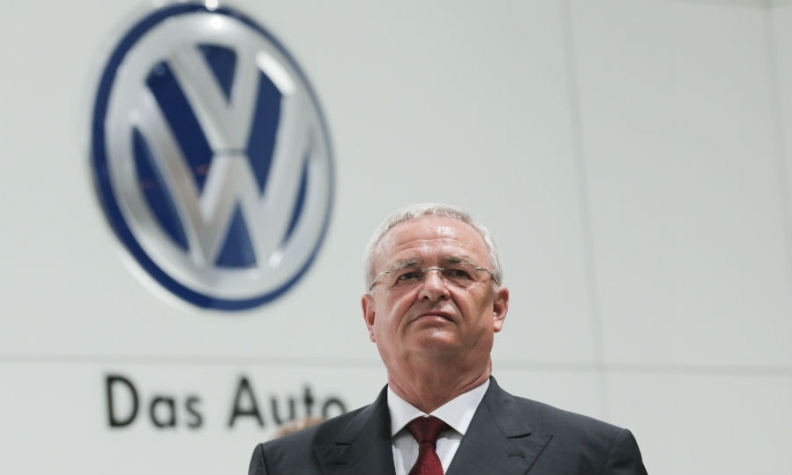 Soon after becoming CEO in 2007, Winterkorn decided to make VW the world's biggest carmaker. That meant cracking what was then the world's biggest car market, the United States, where VW has underperformed for years and where it has now come unstuck. The group almost doubled global annual sales to 10 million cars and its revenue to 200 billion euros ($225 billion). In the first half of this year, VW finally sold marginally more vehicles than the world No. 1, Toyota Motor Corp.
One former sales executive said the pressure soared under the target. "If you didn't like it, you moved of your own accord or you were performance-managed out of the business," he said. Another former VW executive spoke of an authoritarian style, describing how sometimes CEOs of brands could be treated "quite disrespectfully." Such grillings were not typical of the industry, said the executive, who now works for another international manufacturer. Under Browning's tenure, Winterkorn blamed U.S. management for a series of problems ranging from a failure to update the Passat model to seemingly prosaic matters such as paint. On the same trip, he told staff he was unhappy that VW was not offering a shade of red that was selling well on competitors' models. Winterkorn mentioned the issue the following year after Browning had gone. "They should have come and said 'Herr Winterkorn, we must update the Passat;' they should have jumped on my desk," he told Der Spiegel magazine. But several former managers in the VW group -- whose brands also include Audi, Porsche, Seat and Skoda -- said few executives dared approach Winterkorn. "There was always a distance, a fear and a respect. If he would come and visit or you had to go to him, your pulse would go up," the former VW executive said. "If you presented bad news, those were the moments that it could become quite unpleasant and loud and quite demeaning." The executive did not provide specific examples. Even in public Winterkorn ordered very senior staff around. A video shot at the Frankfurt auto show four years ago gives a glimpse of the man's style. The video, which is posted on YouTube (with nearly 2 million views), shows him inspecting a new model from rival Hyundai, surrounded by a posse of dark-suited managers. He circles the car, inspecting the locking mechanism on its tailgate, and then climbs into the driver's seat. First he strokes the interior trim, then he adjusts the steering wheel and discovers something that displeases him - it moves silently, unlike on VW or BMW models. "Bischoff!" he barks in the footage -- no first names or honorifics -- summoning VW design chief Klaus Bischoff. "Nothing makes a clonking sound here," he says grumpily, pointing to the wheel. Asked about his experience working with Winterkorn, Bischoff told Reuters: "Winterkorn always wanted the best solutions and kept pushing staff to the highest goals, but it would be wrong to portray him as a ruthless, intimidating leader. "Of course he went through the roof when something went the wrong way and he didn't only make friends with his temper. But I also experienced him as extremely human with a soft spot for peoples' personal fates."